The IT Supplies Data Entry Specialist & Digital Marketing Assistant serves as a point person for the Digital Marketing Manager. This role is essential in the posting and maintenance of products in our website and system, social media posts and maintaining overall data integrity. 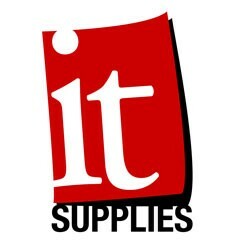 The IT Supplies Data Entry Specialist & Digital Marketing Assistant is a person who is has good work ethic and a strong ability to multitask with a variety of different data entry and marketing related responsibilities. The person in this role has responsibilities including entering product information into our systems and website platform, posting to our social media outlets, creating and editing images and creative. This person reports directly to the Digital Marketing Manager and works closely with our Sales Order Processing team. Responsibilities also include taking on various tasks that allow for marketing plans to be completed successfully. This will be done by living out our Company’s Purpose to our customers, vendors and each other. The typical work day will be high paced. Your goal is to organize and complete daily tasks as assigned to you by the Digital Marketing Manager and other members of the team. No two days will be the same. Being a self-starter is the key to success in this role. While you do not have to have a college education, we think it helps to have some form of higher education in your background. The candidates for this position should be professional, enthusiastic, positive, and thrive in a fast-paced office environment. In addition to your education and experiences, you should be comfortable using a computer. Most of the job involves using technology, so this should be a skill you are comfortable with. Still Interested? If so, copy and paste the link below into a web browser to complete a brief survey (2 questions). We use this survey to build our world class culture. Don't forget to also apply below by attaching your resume. The link above directs you to a Culture Index Survey. Please read the instructions and complete the form. We are asking you to complete the Culture Index Survey so we can see how it may apply to your work related needs as well as our company requirements. It also assists us in better employee management and development. Our Company Purpose drives what we do. Our purpose is: To provide a great place to work, resulting in personal AND customer satisfaction that exceeds what can be found elsewhere. We accomplish this by being nice, thoughtful, pragmatic as well as excited by service and technology in our lives. Been in business since 1998 - great culture - fun place to work - results orientated company. Values Based Company - Do the Right Thing. Nice. Humble. Work Hard. Fun. Dependable. Thoughtful. Always Learning. Use our Brains.